Where once there was lots of rust and peeling brown paint, the church of St Michael and All Angels now wears a smart coat of blue and white. The noticeboard displays upcoming events and the garden is looking pretty. Just how things should be. There has always been something reassuring about Hythe’s tin church, even during its most ramshackle days. As a child growing up here in the 1980s, it makes me think of harvest festivals, clanking tea cups and saucers, local arts and crafts and unruly if not totally wild flowers. My memory may have added a touch of Instagram-style retro filtering, to match my Mivvi lolly, t-bar sandals and white knee socks of the period. I loved St Michael’s then and still do now. This comforting vision in corrugated iron standing firmly, despite its temporary origins, between Stade Street, Portland Road and the canal was made for the people. As the town’s working class population south of the canal grew during the late 19th century, up on the hill St Leonard’s church began to bulge at the seams, with the congregation “packed like herrings in a box” according to the local paper in 1892. So the vicar decided to buy another box, or tin. 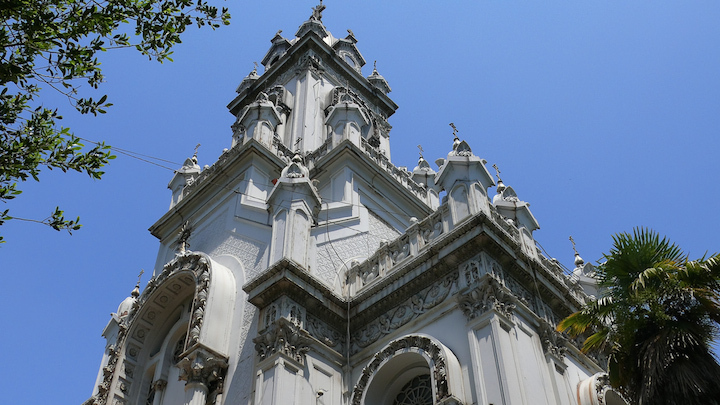 Prefabricated iron churches, chapels and mission halls were manufactured by a number of companies at the time and could be ordered from a catalogue for a few hundred pounds. The Church of England was particularly keen to see off competition from other types of Christianity and flat-packed churches started springing up all over the country. So within a few months during 1893, our tin tabernacle was ordered from Humphries of Croydon, paid for by a former vicar (Reverend Scott coughed up a very reasonable £300), and assembled on a plot of land donated by the Watts family. Today, its simple structure of timber frame, corrugated galvanised iron walls and wooden window frames along with a wood panel interior survive pretty much as they were. So too does the altar, gifted by a local man from oak grown on his own land. 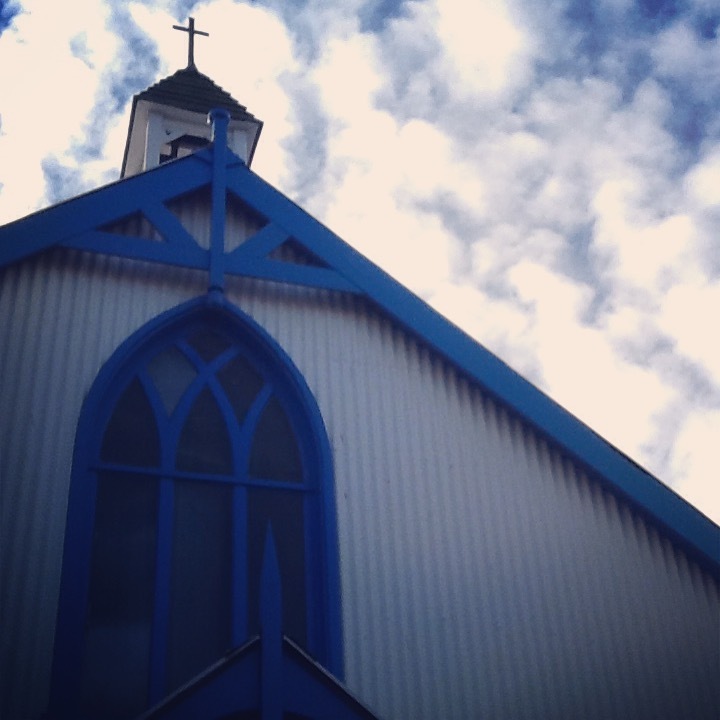 By September 1893 the tin church was dedicated to St Michael and All Angels and ready for 280 worshippers. Tin tabernacle at the Chiltern Open Air Museum. Image: Snapshooter46. 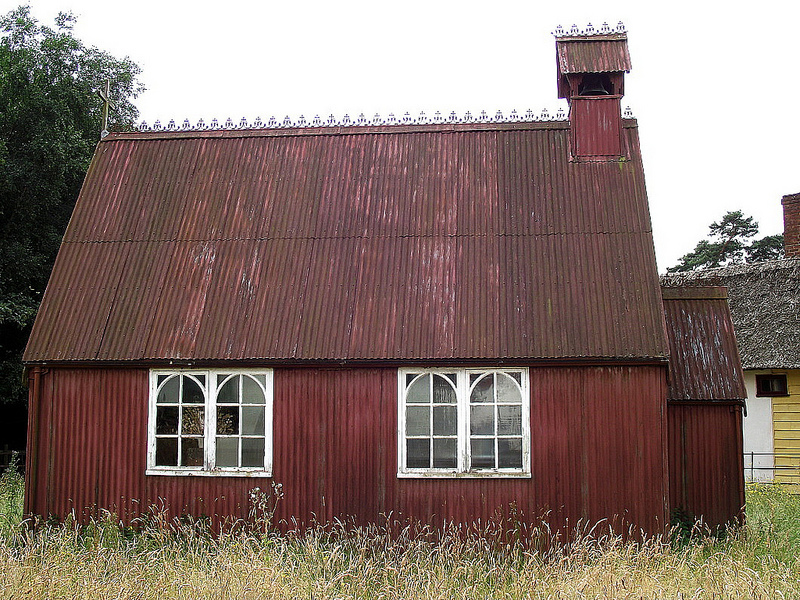 This was a common story in Victorian Britain: prefab churches rapidly erected in new industrial areas, pit villages and remote rural or coastal spots to serve the spiritual needs of the country’s worker bees following the Industrial Revolution. Landowners or employers often donated plots of land, the churches themselves paid for by a benefactor or public subscription. And this quirky iron army advanced across the colonies as Christians travelled the world on their missions. No one is quite sure how many were built or how many survive today. One of the largest and grandest is the Bulgarian St Stephen Church in Istanbul. Around the UK, some are still welcoming congregations while others are now listed buildings, have been converted for other uses or moved to museums. Not bad for a mass-produced flat-pack. Not your average tin tabernacle: Bulgarian St Stephen Church, Istanbul. Image: Valix. 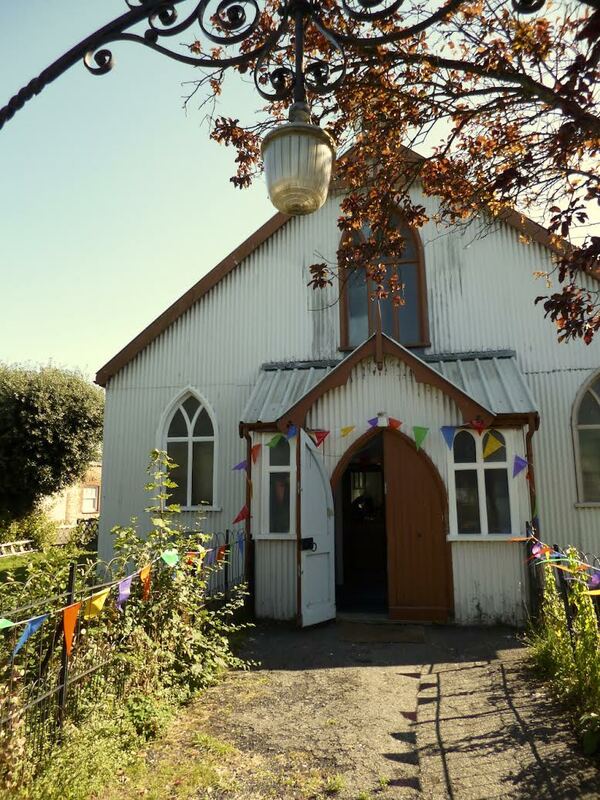 The tin church in Hythe was rescued from an uncertain fate a few years ago by a couple new to the town. Given a Grade II listing by English Heritage in September 2010 after a local campaign, then finding itself on the market for £75,000 a year later, Kay and John Keesing bought St Michael’s in January 2012. They use it for private office space alongside community events and hire, all the while working on its restoration. The worshipping may have stopped, but the exhibitions, birthday parties, local meetings and neighbourhood gatherings continue. We held our youngest son’s birthday party in the tin church a few years ago, before it had officially re-opened. The bunting was up, the kettle was on and the cake was in abundance, as it should be. The tale of St Michael and All Angels church is a lovely little piece of Hythe’s social history. An off-the-shelf, metal shell that could have been soulless and temporary became instead a cherished and permanent part of the community.